UPDATED: January 24, 2018 at 5:00 p.m. 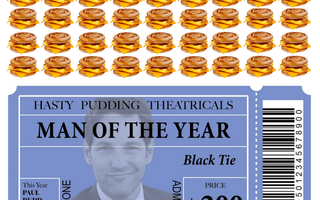 When Paul Rudd comes to Cambridge next week to accept the Hasty Pudding Theatricals 2018 Man of the Year award, students who want to do more than watch him from afar will have to fork over roughly $200. 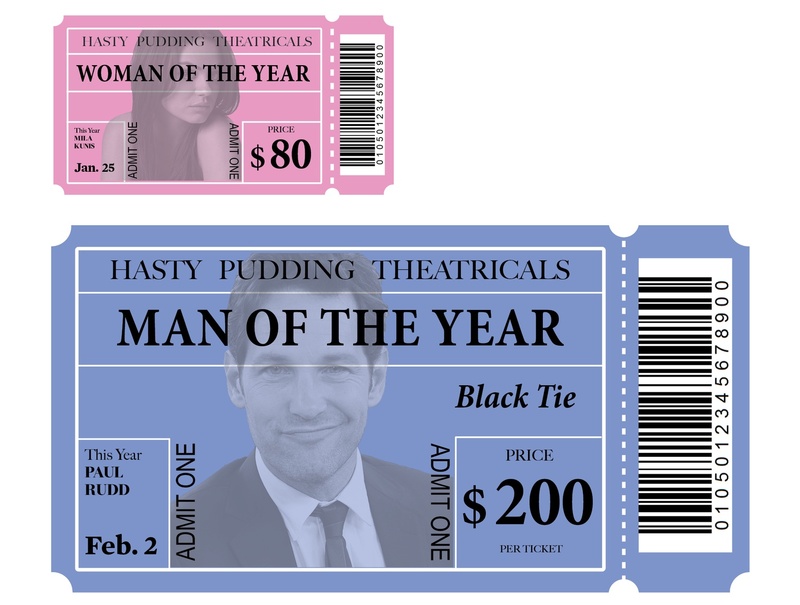 Ticket holders will attend a celebrity roast of Rudd in the Pudding’s digs at Farkas Hall and will then be treated to the opening performance of the Pudding’s spring show, “HPT 170: Intermission Impossible!” The roast of Rudd requires “black-tie” attire, according to the Pudding’s website. But just a week earlier on Jan. 25, when Mila Kunis visits campus to accept her 2018 Woman of the Year award from the Pudding, prospective attendees will pay $80: less than half the price of a ticket to see Rudd. Ticket holders will get to watch Kunis parade through the streets of Cambridge before attending a celebrity roast of the actress and a shorter, incomplete preview of the Pudding’s spring show. Kunis’s roast is not black-tie, per the group’s website. Students and wage policy experts say the way the two events are set up—and the price gap—is unfortunate. Some argue the Pudding should rethink the way it structures the Woman of the Year and Man of the Year celebrations. The Pudding has been hosting Woman of the Year and Man of the Year celebrations since at least the late 1960s. The daylong festivities for each event include a celebrity roast, but only the Woman of the Year event includes a parade across campus. “It clearly indicates that they take the Man of the Year event more seriously, assumed to be more high-profile, to attract people with higher income brackets, possibly who are already further in their career, or who think they can gain more from networking at the event,” said Ariane Hegewisch, program director for employment and earnings at the Institute for Women’s Policy Research. Pudding President Amira T. Weeks ’18 declined to comment. Other students agreed with Hegewisch and Sison. Brandon N. Wachs ’18 and Matthew “Teddy” T. Brokaw ’18 suggested combining the Man of the Year and Woman of the Year festivities to help improve the situation. “You could make the Woman of the Year event at the same time as the black-tie event. Actors and actresses both deserve equal recognition,” Wachs said. 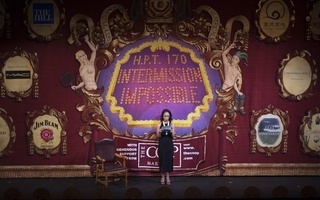 Nonetheless, Economics Professor Claudia D. Goldin, who researches the gender wage gap, said she thinks the difference in ticket price has more to do with history than with gender inequality. “This has zero to do with gender gap and pay. This has to do with the history of this institution, when they came up with this Man of the Year award—and [when] it became black-tie—and why, because Woman of the Year was much older,” Goldin said. The Pudding’s Woman of the Year award started in 1951, preceding the first Man of the Year celebration by roughly a dozen years. The Pudding has come under fire from alumni in recent years for its all-male membership practices. Women on campus have sought to audition for the historically male group three times and, each time, have failed to receive callbacks. More than 86 individuals signed a Pudding alumni petition in Sept. 2016 calling on the organization to admit women. An op-ed in the Boston Globe last week criticized Kunis for accepting the Pudding’s invitation given the group’s refusal to go co-ed. Kunis and Rudd did not respond to repeated requests for comment. A previous version of this article incorrectly indicated that the Hasty Pudding Theatricals Man of the Year celebration includes a parade through Cambridge. In fact, only the Pudding Woman of the Year celebration includes a parade through the area. Do not “play by the rules” of all-male groups. Do not be “complicit.” Do not accept this award.